"Even though he's the head a tribe, he's a hell of a lot more than that." Marvel Studios + Disney have just released a featurette video for Ryan Coogler's upcoming Black Panther movie, which hits theaters next month. 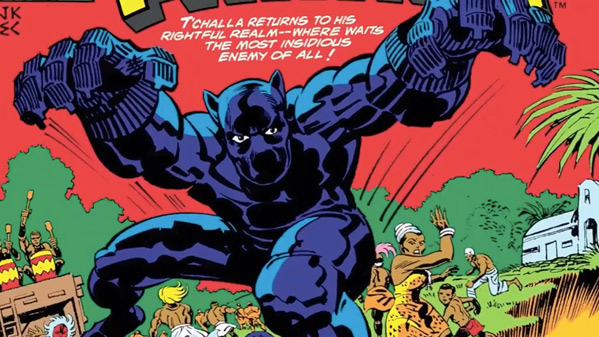 This video focuses on Black Panther's comic book origins, featuring appearances by Kevin Feige and Stan Lee talking about the character, along with a few behind-the-scenes shots. Directed by Ryan Coogler (of Fruitvale Station, Creed), the story follows King T'Challa, once again played by Chadwick Boseman, who goes back to his African nation of Wakanda after the events of Civil War. The ensemble cast includes Michael B. Jordan, Lupita Nyong'o, Danai Gurira, Martin Freeman, Daniel Kaluuya, Angela Bassett, Forest Whitaker, Andy Serkis as Klaw, Florence Kasumba, John Kani, Winston Duke, and Sterling K. Brown. This is probably the first big movie of 2018 that I am actually very excited to see.